To support NWT and raise awareness of our work by attending public events across Norfolk providing friendly face to face contact and distributing information and events leaflets. 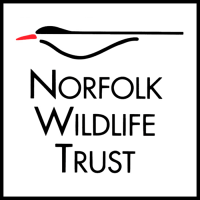 To reconnect people to their local environment and the wider natural world, and increase awareness and membership of Norfolk Wildlife Trust. Various events across Norfolk. These may include indoor and outdoor fairs, shows, markets, wildlife events and events on our own reserves. This is flexible – events are variable and throughout Norfolk, they can be weekdays but will usually be at weekends, and mostly during March to October. You can state your preference, and will be given a choice of dates. Events can be for a couple of hours or all day. Opportunity to network and meet other staff/volunteers within conservation and community engagement. A full clean driving licence is desirable, but non-drivers will also be considered. You will need to be able to travel to NWT headquarters at Bewick House to pack and collect vehicles. A First Aid qualification would be an advantage although training can be provided. To apply please use the application form provided. More information about the role is given in the role descrption provided.